To enter Taiwan from the United States, it is recommended that you have an original, signed passport that is valid for 6 months beyond your stay. Make sure there are at least two blank visa pages available for any necessary stamp(s). Proof of onward/return travel is required to enter Taiwan. 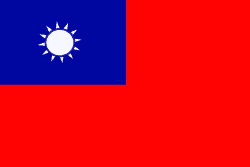 Neither a tourist visa nor a business visa is required for American visitors to enter Taiwan. 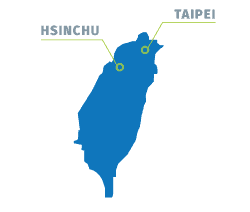 The following are the airports in Taiwan which accept international flights from North America. TPE and TSA are most convenient to Taipei. For updated travel alerts and information, visit the American Institute in Taiwan. You can also download the SmartTravel App for your smartphone created by the U.S. Department of State. Generally, there are some modern medical facilities in Taiwan, predominantly in Taipei, which is English friendly. For a list of local-speaking doctors, please contact the International Association for Medical Assistance to Travelers. The currency used in Taiwan is the New Taiwan Dollar (NTD). Locations such as hotels and restaurants in Taipei accept U.S. credit cards, such as Visa or MasterCard. However, smaller establishments often do not. If you prefer to carry cash, there are many ATMs around the city, and most accept U.S. debit cards. It is common in Taiwan to use cash whenever possible. There are many currency exchange portals in the airport and around the city at locations such as 7-Eleven. For up-to-date information on the local conversion rate, visit a reputable currency converter website such as OANDA, which also provides an app for smartphones. It is typical for Taiwan to have a year-long average temperature of approximately 71°. There is rarely a severe season of cold or hot, which makes it a great place to visit at any time of the year. June to October is considered the typhoon season, but July through December offers the best time of year to explore many outdoor activities. May and June can be considered the rainy season, but most showers only come in the afternoon. Though the plugs are the same as the U.S., if any of your laptops, chargers, etc., has a “ground” (a third prong on the plug), you may need a 3-2 prong adapter. These adapters are available for purchase at Amazon or online and are inexpensive. Planet Depos Travel Tip: Buy extras of these and keep them in your bag for backup!